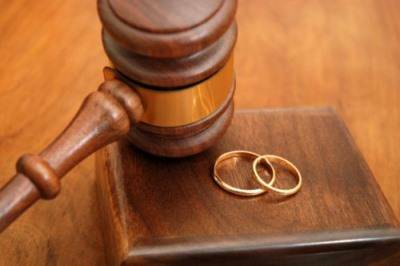 International Divorce and Unilateral Divorce With the Help of ISOG Lawyer and Attorney at Law. International divorce is when you apply for a divorce in a country other than where you are living or where your permanent domicile is. Different countries have a different divorce legislation. You don’t have to get divorced in the country that you were married in, unless the law requires it, or where you were living when your relationship ended. You can get divorced in any country in which either of you are settled now, as long as it recognises that you were married in the first place. There are lots of couples who will find that more than one country has the power to deal with their divorce. If you need to get divorced from your spouse, it is possible to do it in another country with or without your spouse’s consent. Among international divorces, there are two that are the most attractive: the “steam divorce” or “express divorce” of the Dominican Republic and the “unilateral divorce” of Haiti. The two proceedings can be finalized in 24 hours. Divorcing is not a pleasant experience but if you need to do it in order to protect your assets or to get married again without hassle, ISOG lawyers will provide you with different options and help you do the proceeding. In Dominican Republic, the proceeding can be done with the presence of only one spouse but only if this has got a power of attorney from the other spouse. In Haiti, on the basis of the current laws, it is possible to get divorced by the wish of one of the two spouses. This type of divorce is used mainly when the marriage was celebrated abroad and you cannot find your spouse to get divorced. In this way you cannot be accused of bigamy. The two proceedings are internationally valid; the decree can be registered in the embassies but would not cover the separation of patrimony, the custody of minors, the alimony and other patrimonial issues. For this reason, the decree does not affect possible civil actions for issues related to the custody of minors and alimony in the country where the marriage was celebrated and where the spouses reside. It avoids that you would be condemned for bigamy and allows you get married again abroad The decree would be registered and apostilled.